Today’s Prompt: Write a full LOVE STORY (introduction, development and conclusion) in just one paragraph of no more than 5-6 lines. Remember, ACTION / MOVEMENT / CHANGE are essential to storytelling. 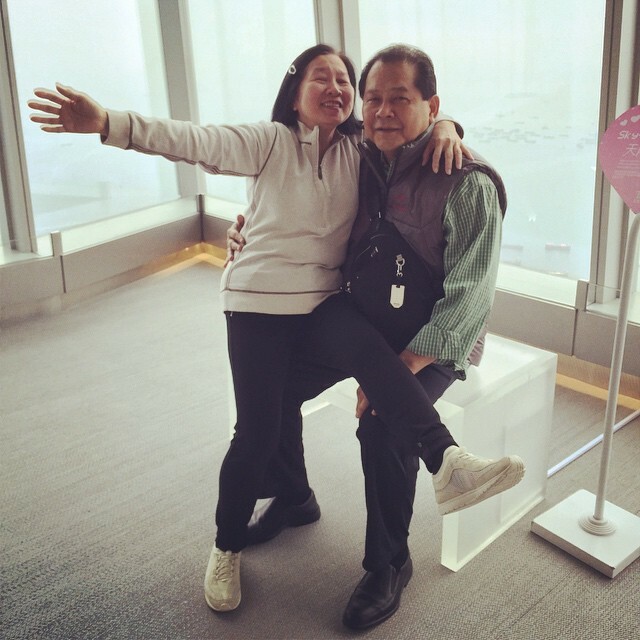 Mom and Dad being goofballs at the Sky100 Observation Deck, Hong Kong, December 2014. The first time they met, he was working on his father’s father’s pig farm, and she was the city girl with long, dark hair and a pretty smile. She was out of his league – or so he thought at the time – and he was just about ready to resign himself to his fate: a life without her. It takes a certain amount of fortitude to steal lift borrow take a little piglet, get on a jeepney, ride for an hour to the pier, take a two or so hour ferry ride to Batangas, follow that with a five hour bus ride into the city of Manila, and find the woman you’ve fallen for, and offer her your piglet as her suitor. It takes even more fortitude to marry that woman a few months later. 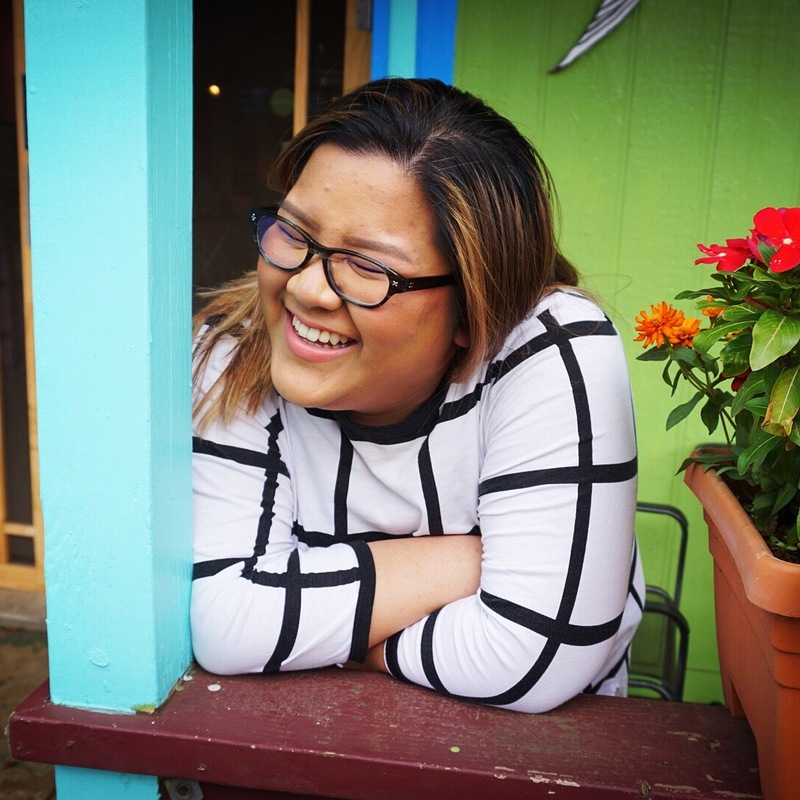 But as every cheesy romantic comedy tells you, the heart wants what the heart wants… and it’ll do whatever it takes to weather any storm and be stronger than it was the day before. 40 1/2 years and counting… I guess the piglet gift worked. I love this! Your dad is too sweet, haha. I OFFER THIS PIG AS A SIGN OF MY LOVE AND AFFECTION. IT IS ALL I HAVE AND IT ISN’T EVEN MINE. He didn’t say that, but that’s what I end up imagining and I start cry laughing. I can’t even, sometimes.